How can I benefit by switching to electronic cigarettes? There are many benefits to vaping e-cigarettes (as opposed to smoking). First of all, e-cigarettes cost a whole lot less than tobacco cigarettes do. Secondly, there's no ash or smoke at all with e-cigarettes. Additionally, there's no odor to worry about smelling up your clothes, your house, your car, etc. But beyond that, e-cigarettes have many other advantages over regular cigarettes. One of those advantages is flexibility. You can vape an e-cigarette almost anywhere, even in many "No Smoking" areas. But of course, one of the biggest advantages the price. E-cigarettes are MUCH cheaper than regular tobacco cigarettes (around 50% cheaper). So if you want to save money and still get your nicotine, then e-cigarettes may be what you're looking for. What's the difference in ingredients between e-cigarettes and tobacco cigarettes? Basically, tobacco cigarettes contain, well, tobacco...and a bunch of other stuff. Electronic cigarettes, on the other hand, use e-liquid...which is basically made up of distilled water, nicotine and USP Grade glycerin (ingredients vary by manufacturer). Some e-liquids also contain natural and/or artificial flavors. These flavor ingredients vary depending on which e-liquid flavor you like to vape. 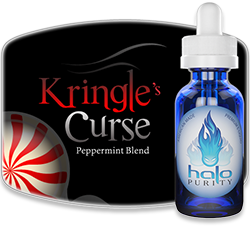 For example, e-liquid is available in many different flavors, such as: vanilla, chocolate, cherry, coffee, mint, menthol, etc. Do e-cigarettes emit any smoke? No. Electronic cigarettes do not emit any smoke. Basically, e-cigarettes emit water vapor...a super fine water mist that quickly dissipates into the air, leaving behind no smell whatsoever. With an electronic cigarette, there's no "chemical reaction" (combustion from burning tobacco) taking place, so there's no smoke produced at all. Can I smoke (vape) electronic cigarettes anywhere? Yes. In most cases, anyway. Since e-cigarettes are completely odorless and emit no actual smoke, you can vape them almost anywhere, even in many "No Smoking" areas. Some places may not allow them, however, so if you're in doubt, just ask if it's OK to vape there. But in many cases, you can vape an e-cigarette pretty much anywhere, including restaurants, bars, airports, the workplace, and even in places where smoking regular tobacco cigarettes is banned. But again, some establishments may not allow them, so check your surroundings to make sure you're not breaking any rules. Are electronic cigarettes a healthier way to smoke? We don't know. But electronic cigarettes do allow you to smoke (vape) without the tar, ash, flame and horribly offensive smell that comes with regular tobacco cigarettes. And since electronic cigarettes do not light up via a flame (there's no "combustion" involved), you don't have to worry about burn holes in your clothes, furniture or car, for example. Nor do you have to worry about fires, constantly emptying ashtrays, or buying new lighters all the time. Additionally, since there's no smelly smoke, electronic cigarettes offer a more pleasing environment to not only you, but to all those around you as well. So there's no longer a reason for you (or anyone else) to have to breathe in all the disgusting smoke that's produced by tobacco cigarettes. Does electronic cigarette smoke have any smell...like regular cigarette smoke? No. Electronic cigarettes do not smell at all. This is because e-cigarettes don't emit any actual smoke. Basically, e-cigarettes emit water vapor, which quickly dissipates into the air and evaporates. Because of this, e-cigarettes won't stink up your clothes, your house, your car, etc. In fact, even right after you've vaped an e-cigarette, no one would be able to tell at all. So no smell whatsoever is left on you, your clothes, or on anything else, for that matter. Generally, electronic cigarettes contain a battery, an atomizer and a cartridge. When you inhale (take a puff or drag), the battery sends a small electronic charge to the atomizer, which then heats up the cartridge and vaporizes the e-liquid (nicotine and flavor solution) inside the cartridge. Electronic cigarettes also have an LED light (sometimes referred to as an "ash light") at the tip of the e-cig that lights up and glows when you inhale. These LED lights can vary in color from brand to brand. This color variation simply depends on which color (or colors) an e-cigarette brand prefers to use for their e-cigs. Basically, it's simply an aesthetic choice. Some brands (like V2 Cigs) offer you a choice of LED light colors, such as: red, blue, white, etc. For example, if you want the same level of nicotine you get in a regular full-flavored cigarette, then choose the Full (18mg) option. If you want something equivalent to "light" cigarettes, then Light (6mg) is about right. And if you don't want any nicotine at all, then simply choose a Zero (0mg) option. Note that nicotine level options vary from brand to brand. The good news is that they each make it extremely easy to understand and choose which nicotine level is best for you. 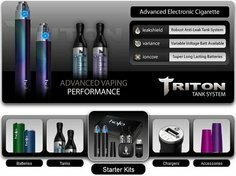 Can I smoke electronic cigarettes along with regular cigarettes? Yes. You can smoke electronic cigarettes right along with tobacco cigarettes. In fact, many electronic cigarettes are even made to signal (by blinking the LED light a specific number of times) if your nicotine consumption is higher than normal. This allows you to keep tabs on your nicotine intake and lets you know when to slow down or stop. This is awesome for vapers who want to control (and decrease) their nicotine intake. Of course, another awesome advantage of electronic cigarettes is that you can actually choose your nicotine level...and even choose no nicotine at all! Can I use electronic cigarettes to quit smoking? While many people have successfully quit smoking and switched to vaping instead, it should be noted that e-cigarettes are not a "smoking cessation" device. Additionally, electronic cigarette manufacturers are not allowed advertise their e-cigarettes as smoking cessation products since there has not yet been enough research to verify their efficacy. Nonetheless, here's a New York Times article that sheds some light on vaping, and its success rate when it comes to helping people who want to quit smoking. Is my electronic cigarette protected by a warranty? Most likely. 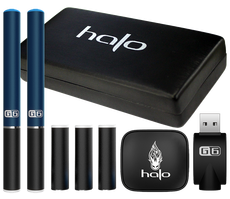 Most electronic cigarette brands do cover their e-cig products with a warranty when you purchase them. 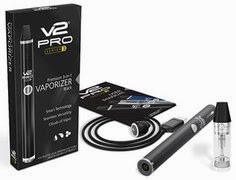 For example, V2 Cigs offers a full LIFETIME Warranty (the best in the industry). Most manufacturer warranties, however, are for one year (or less) and only cover certain parts of the e-cigarette device. So be sure to check what's covered and what's not before you purchase. Note: We do NOT advise purchasing any electronic cigarette that does not come with a warranty...and one of at least 60 days. Do electronic cigarettes work automatically? Yes. 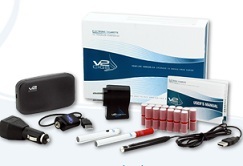 Most electronic cigarette models work automatically, without your having to turn them on or off. Basically, most e-cigs "switch on" automatically as soon as you inhale. These are referred to as "automatic" and have what are called "automatic batteries". With an automatic battery e-cigarette, the e-cig atomizer instantly detects airflow being drawn into the device and automatically activates the battery, thus, vaporizing the e-liquid and allowing you to vape. Some electronic cigarette models DO have a small button or switch that you can use to turn your electronic cigarette on or off. These are known as "manual" e-cigarettes, and have what are called "manual batteries". With a manual battery, you simply hold down a small button on the e-cigarette device whenever you want to vape. Some vapers prefer automatic batteries, while other vapers prefer manual batteries. Basically, it all comes down to your personal preference. We should note, however, that manual battery e-cigarettes do offer you much more control over your vaping experience. Manual batteries also tend to produce more vapor than automatic batteries do. And so, they also tend to give you a better "hit". And because of that better "hit", it's not uncommon for vapers to choose a lower nicotine level. This is definitely cool. How can I tell if an e-cigarette works automatically or if there's an On/Off button? Simple. First, look at the e-cig battery (or its picture if you're shopping on a website). The "On/Off" button is usually easy to see. Second, read the product description. The product description will definitely mention if it's an automatic battery or a manual battery. 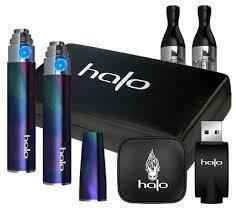 "A great accessory you may want to consider with this kit is one of our V2 Cigs Manual Batteries. Unlike the automatic batteries which activate by puffing, the manual batteries have a small rubber button installed on the body of the e-cigarette. ...Many prefer these batteries because they offer a greater level of control and precision when it comes to vapor thickness. The most important thing is finding the right battery to fit your needs. As a general rule, the automatic batteries are a little easier to use, and better for hands-free multi-tasking. The manual battery can produce the thickest vapor and offers the most control." So basically, manual batteries simply enable you to regulate your vaping and vapor thickness with more precision. If you prefer your vapor extra thick, then definitely go with a manual battery. Which electronic cigarettes are the best? NOTE: Each of these e-cigarette brands have achieved a 5-star rating based on the evaluation factors listed above. In addition, they've also passed the "Internet Test". In other words, these e-cig brands are also the brands that most Internet users listed as their overall favorites across the board. 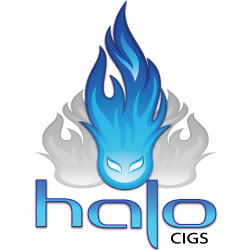 So yeah, they're awesome...and greatly surpass most other e-cig brands. Just check them out and see which one is right for you. Have More Questions About Electronic Cigarettes?